That’s the way the Teddy Bears have their pic-nic! It seems cannibalistic, but I assured the bears that this guy was just for play. And mine turned into a bear with a bowtie – completely by accident! 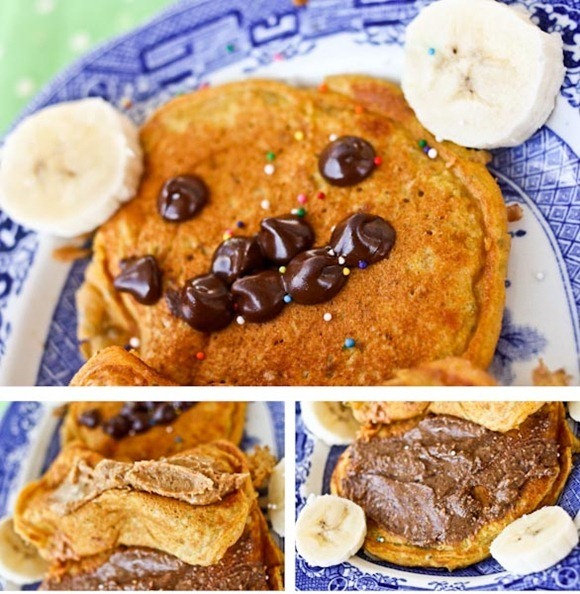 Spread with some nut butters, banana, sprinkles and a choco chip face! Beaker, Bocker and Churton LOVED them! I enjoyed eating them too (there was also pumpkin and butterscotch chips in the batter!) but would you believe that this was TOO sweet for me?! It left me overwhelmed in the palate. It’s lovely out in the woods today.. These pancakes are so cute!! You guys must be feeling very artistic this morning. I had a pretty sturdy breakfast but the photos are making me hungry all over again! Hahah those pancakes are adorable. i can’t believe that was by accident!! So glad the bears are getting a special pancake on Pancake Tuesday! awwwww this is to cute. that pancake is the best ever. I scammed my husband into having pancakes for dinner last week for National Pancake day…I don’t think he will all for it again. 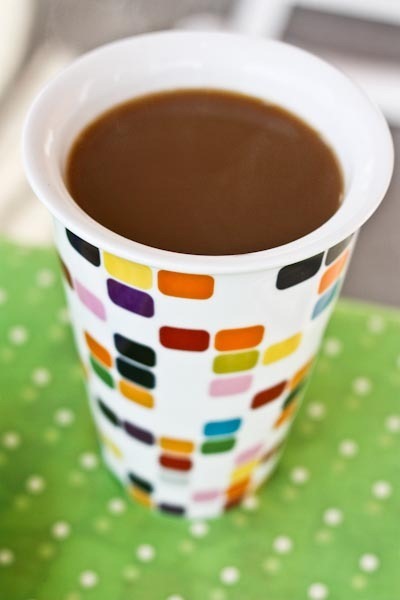 These look like a cute/festive way to start the day! That pretty much looks amazing. Chocolate and peanut butter? Holla! Best flavor combo…at least sweetness-wise. What cutie pancakes! These remind me of when my mom used to make Santa pancakes for us on Christmas morning, so fun! That is too cute. I firmly believe that we’re never too old to play with our food. Now I’ve got pancakes on the brain! I love the banana hands/feet. How hilarious! Cutest breakfast ever!! It looks delicious too! 🙂 Have a GREAT day! Gah! Im sooo jealous that you have flowers outside!! I love the bow tie! We used to always make Mickey Mouse pancakes (does everyone do that?) with two small pancakes as the “ears.” I had Kodiak cakes for breakfast yesterday. I can’t get over how good they are. I keep forgetting to add pumpkin! I used to LOVE Teddy Bear Picnic when I was a kid. awww. 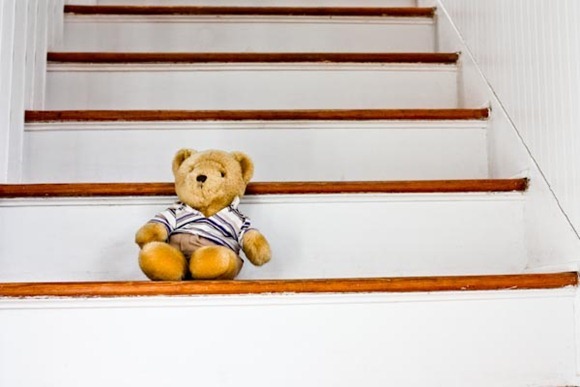 Teddy Bear Picnic was one of my favorite songs as a kid… now I’ll have it in my head all day at work! =P Happy Fat Tuesday! those pancakes are precious such a great idea for kids too! SOO cute!!! I love when breakfast is fun! Adorable post and fantastic looking breakfast! What a cute idea! 🙂 Hope you have a great day! That bow tie is the best accidental pancake ever! And I must say I love the addition of the butterscotch chips! 🙂 Classy bear! I want to come to the Teddy bear picnic!! 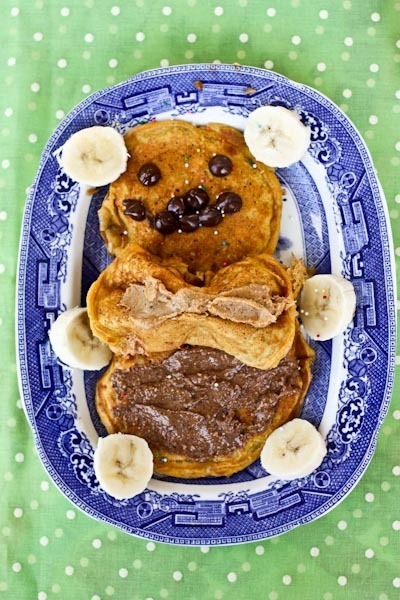 Your breakfast looks way more fun than mine :D.
Cutest pancake ever! Looks like a breakfast of champions!! Oh man… that’s too cute. Beary cute! Ha! I couldn’t help myself! 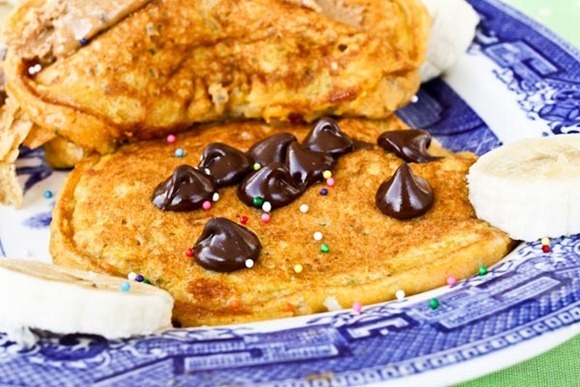 Seriously salivating over those pancakes! YUM!!!!!!!! oh my goodness, your brekkie is adorable!!! (i feel weird saying that…??) I think i’d have a hard time eating it! Glad you captured it with some pics. That should become a regular! Esp when y’all have kidsssss! 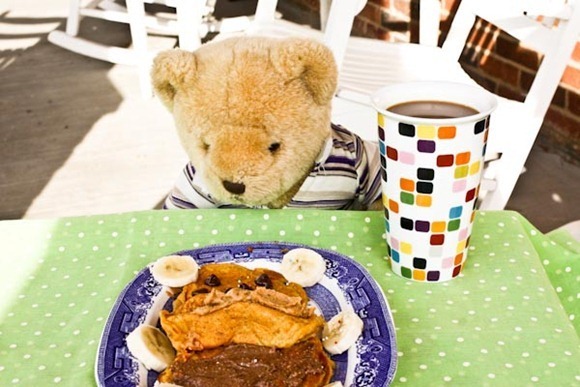 The pancakes and teddy bear are seriously adorable! 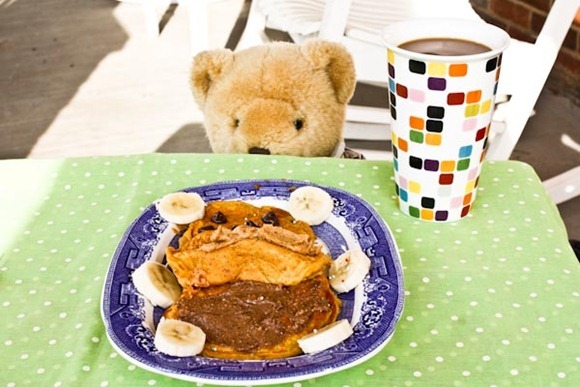 What a great way for the bears to start their day – those pancakes look amazing – and very creative! oh kath. i love you. Aw! This post reminded me of the whole “bananas in pajamas” show and song from way back when. What a delicious and cute breakfast, sprinkles included! Ahhhh! Haven’t thought about that in ages! you will totally make a great mom! Kath, you’re always bringing up childhood songs I haven’t heard in decades–I love it! I agree with you on things being too sweet at times. Since I cut out artificial sweeteners and cut back on sugar, I’m amazed how often I can go without it. Adorable! My mom would make me yogurt faces… she’d cover a plate with yogurt and make a face out of sliced up fruit… I always loved that! Love your posts about the bears. Those pancakes look really good! I’ve never tried kodiak cakes– are they whole grain and unprocessed? 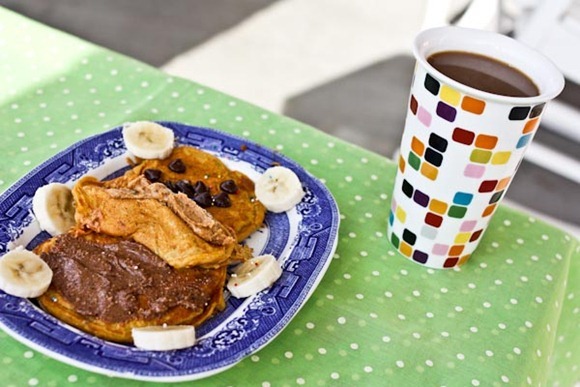 I always just make my own pancake batter, but there’s not always time for that- that’s why I make them so rarely! They are whole grain – and super fluffy! The only ‘con’ might be that they contain powdered milk and egg whites, but I still see those as real food. What a cute breakfast! Is there a story behind the bears? oh what a fun breakfast! ava would love this!! Cuuute! I love the teddy bears. 🙂 Ah, I hate when my breakfasts are too sweet. That happens with protein shakes/smoothies sometimes. That is way too cute! I wish my breakfast looked that fun to eat every morning! THis is adorable! And it makes me want pancakes soooo much! I instantly started singing that song! It’s one of my favorites from my childhood and reminds me of my wonderful childhood friends growing up that I am still lucky to be best friends with! I’m thinking I need to get my hands on some Kodiak cakes soon!!! Your breakfast is too cute! and looks delish as usual! I prefer pancakes for dinner. They don’t make me feel as gross then. I’m new to your site, and I have to say, it’s so refreshing to see a woman who isn’t afraid to EAT! That’s a nice, normal-sized portion to support your active lifestyle. I love your healthy outlook on food. 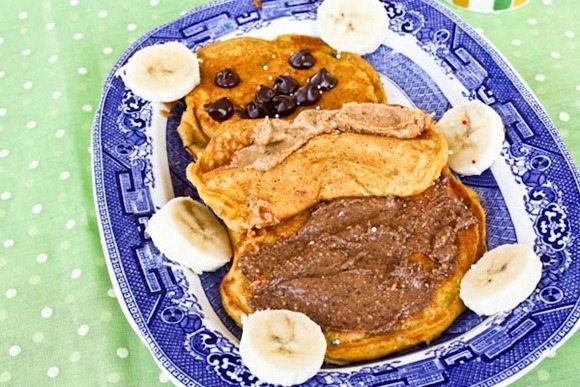 Your pancakes always look so fun! My sister in Greenville, SC sent me your blog– she has no idea how she found it, but liked it and thought I would too. I do! I love how you enjoy food. I’m also excited to visit your bakery when it opens up. When’s the projected grand opening? How cute! 🙂 I’d have trouble eating that breakfast just cause I’d be smiling the whole time. So cute!! These remind me of the pancakes my mom used to make us every birthday. Micky Mouse pancakes ALWAYS tasted better. I was convinced they were magical. this is SOOOOO cute! 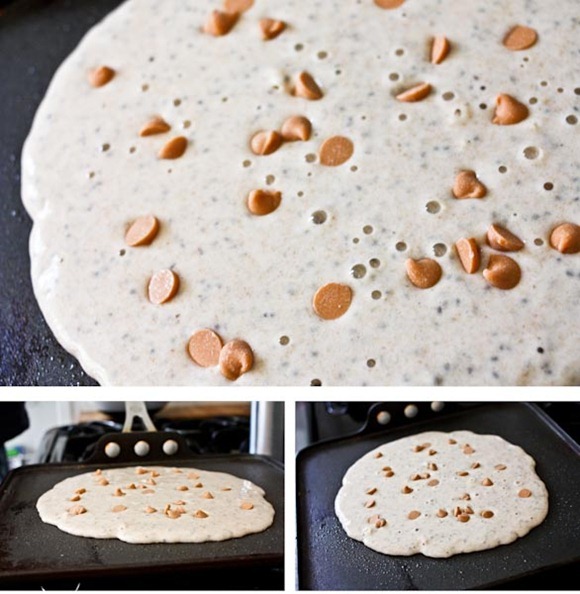 my roommate and I are devising dorm pancake plans…. Oh my, that looks absolutely divine! I bet that would be quite a popular breakfast idea for the kiddies.